Setup Area: 18' L x 19' W x 15' H plus room to spare for walkways and blower. Unit cannot be up against a fence, house, or any other structure. 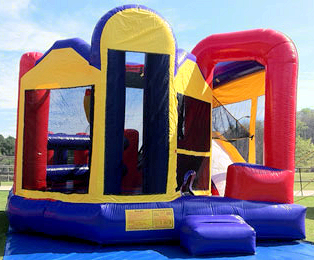 This crowd pleaser features a bounce area, vertical and horizontal obstacles, a basketball hoop, and a slide!